Just over two years ago, the team that resides in the American Airlines Center looked quite a bit different than it does today. The Dallas Stars missed the playoffs that year (2012-13), despite a late surge after dumping talent at the trade deadline. Missing the playoffs sparked the firing of Joe Nieuwendyk, the general manager of the Stars at the time. 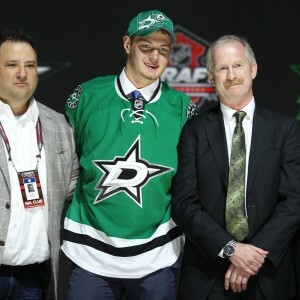 Jim Nill was brought on to be the general manager in Dallas and he has done some very great work in just over two years. Let’s take a look back at the many changes that have been made in Dallas in the past two years. As I mentioned above, the end of the 2012-13 season marked the firing of Nieuwendyk and the hiring of Nill. It also marked several other “off-the-ice” changes. Glen Gulutzen was fired as head coach of the Stars and replaced by Lindy Ruff. The Dallas jerseys were replaced by beautiful victory green jerseys. The main logo was changed. It was clear that Stars owner Tom Gaglardi wasn’t going to be wasting any time, as he wanted his on-ice product to deliver and his off-ice product to shine. The rebrand was in full-effect and the roster was turning over quickly as well. Let’s look a little closer. Oof. That team did make some trades during the season, including shipping off Jaromir Jagr, Derek Roy and Brenden Morrow at the trade deadline. They also swapped Michael Ryder for Erik Cole during the season. But that was what the Stars were working with during the lockout-shortened season. Despite that, they finished just seven points out of a playoff spot after a good late-season charge. Stars owner Gaglardi would then clean house and begin the transformation. Nill did some quick work in terms of the overall roster depth. The big addition was trading Loui Eriksson, Rielly Smith and two prospects for Tyler Seguin, allowing both Jamie Benn and Seguin to return to their natural positions. Alex Chiasson joined the team late in 2012-13 and was able to make the opening night roster in a top-six role. Defenseman Philip Larsen was traded to the Edmonton Oilers for Horcoff to bolster the depth in center should anyone get injured. Not shown here is Rich Peverley, another player involved in the Seguin trade. Peverley spent a good chunk of the season on the right side of Benn and Seguin and played well in the role. 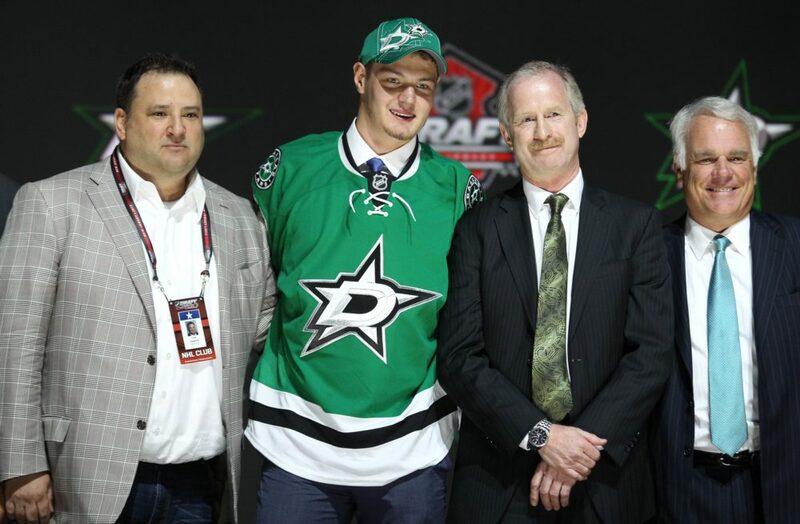 Nichushkin was the first pick for the Stars in the 2013 draft and had a solid rookie season with 14 goals and 34 points. Gonchar and Ellis are probably the two biggest mistakes Nill has made, although neither one of the moves ended up being incredibly costly. They played poorly for much of the season and did not often impact the lineup in a positive way. The Stars surprised the NHL by earning the eighth and final playoff spot in the Western Conference and took the top-seeded Anaheim Ducks to six exciting games before being eliminated in overtime by Nick Bonino. Nill went into the next offseason searching for experience to get them over that edge. Once again, we notice some major roster turnover. 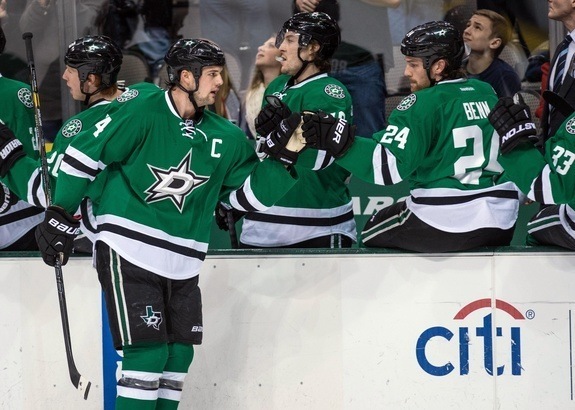 The entire second line of Eaves, Spezza and Hemsky were offseason additions. Colton Sceviour and Patrik Nemeth joined the Stars mostly full-time in the middle of the 2013-14 season and managed to make the club out of training camp. This team underachieved by a lot of standards and the backup position was once again a problem. Lindback was not able to return to his Nashville form and cost the Stars a lot of games. Lehtonen had his worst season in Dallas and despite another late-season surge, the Stars failed to qualify for the playoffs. It has truly been an incredible two years. Nill will attempt to solve the backup woes by appointing a proven-starter to the position (whether it ends up being Lehtonen or Niemi, we will soon find out). Demers, Klingberg and McKenzie all joined the roster midway through the previous season. Demers and Klingberg are both locks to crack the opening lineup while McKenzie will have to fight for his spot. The depth in the defensive area is one of the more noticeable transformations from just two years ago. As for Sharp and Oduya, if you can’t beat them, take their players (that’s how the saying goes right?). Both will bring steady skill and Stanley Cup experience to a young lineup. This group is widely expected to not only make the playoffs, but threaten for the Central Division crown, as well. Just six players remain from the team that ended the 2012-13 season a little over two years ago. Six. Whether this new team makes the postseason or not, you can really take a step back and appreciate the fact the Nill doesn’t sit around and accept whatever fate the season has in store for him. Each offseason, the Stars have gotten better and better. It will be interesting to see if these recent changes get the Stars back in the postseason come April 2016.